Our Harmony Natural Latex Topper by Savvy Rest is a perfect option for those who prefer a little extra cushion added to their Wool Bed. This beautifully crafted Latex Topper can also be added to any other type of mattress for added cushion and pressure relief. Available in either Talalay or Dunlop latex in Soft, Medium or Firm density to suit everybody’s needs. 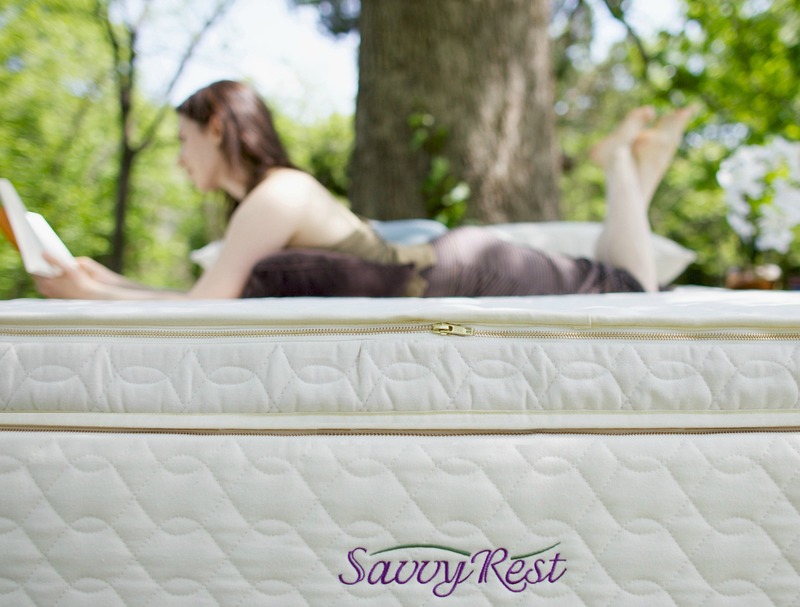 Our Savvy Rest Natural Latex Mattress Topper can be used as a top layer to your existing mattress or can be used in combination with the Wool Bed. A all natural latex mattress topper can take the place of latex padded slats by being placed underneath your wool mattress or in between the Wool Mattress and Wool Mattress Topper. This Latex Topper is a great option for those who do not want to change their bed frame by ordering our Latex padded slat bed frame but would like a little more softness added to the Wool Bed. The Harmony Latex Topper is comprised of one 3″ layer of natural latex in the Savvy Rest organic casing. You can choose from Talalay or Dunlop latex in a soft, medium or firm density. 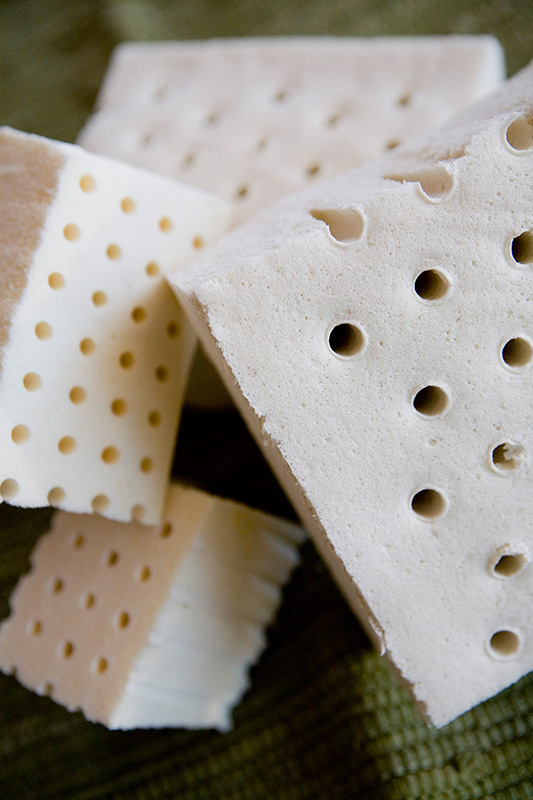 The Natural Talalay is a little bit softer in general than the Dunlop latex. Below you will find a more thorough explanation of the difference between Talalay and Dunlop Latex. The texture of Dunlop latex is quite close to pound cake. It has a denser feel than Talalay does. Dunlop is resilient and responsive to your body, but not bouncy. When people say, “I really like the top to be soft, but I don’t want a ‘sinking’ sensation,” we usually suggest Dunlop Soft. Using Medium or Firm Dunlop in layers below the surface will give excellent stability for the spine. 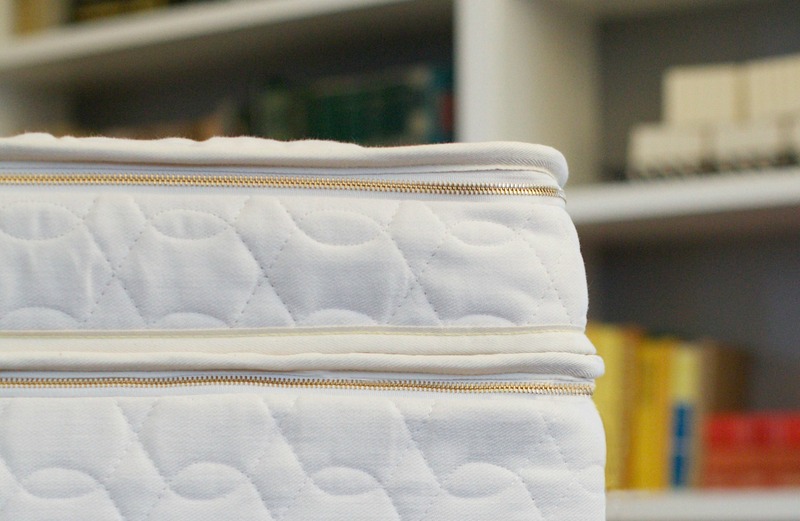 For big people who weigh 200 pounds or more, we don’t normally suggest the softest Talalay, but for those who love a pillowy, cushy surface that feels a little “embracing”, Talalay’s the charm.